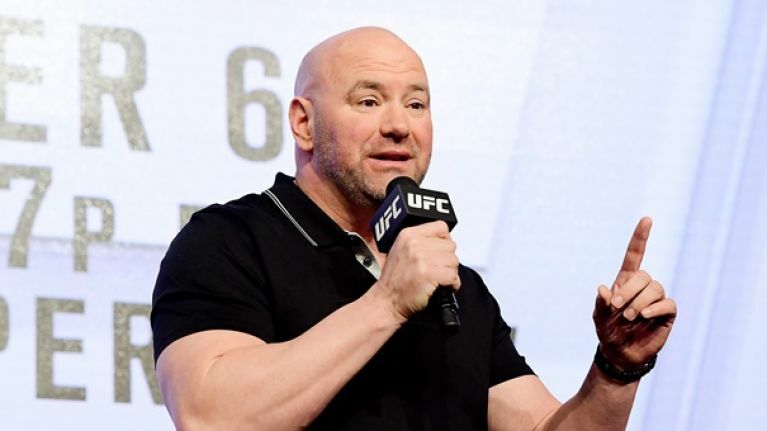 UFC President Dana White has said that former Light Heavyweight champion Jon Jones has done nothing wrong after recently testing positive for trace amounts of the anabolic steroid turinabol. Jones recently tested positive for a trace amount of DHCMT, also known as Turinabol, however, UFC VP of Athlete and Health performance Jeff Novitzky has said that there was no evidence of readmission and that the positive test likely stems from Jones' 2017 positive test that netted him a 15-month suspension. "There is no evidence of readmission and it most likely came before the last one in 2017," Novitzky said on the latest episode of UFC Embedded. "There is zero evidence that it is performing enhancing." The Nevada State Athletic Commission could apparently not review Jones' positive test given that the results were known just days before Christmas and therefore the UFC made the unprecedented decision to look for a licence elsewhere. The California State Athletic Commission agreed to licence Jones and that's when the UFC announced that they would be moving the entire UFC 232 card from the T-Mobile Arena in Paradise, Nevada to The Forum in Los Angeles, California. White said that Jones had been tested eight times by USADA in the build up to UFC 232 and that a range of experts have said that there's no reason that the fight shouldn't happen. "If they [the Nevada State Athletic Comission] believed there was a violation here they would say that Jon Jones can't fight in California. "Just so we're clear here this isn't about me, and it's not about keeping the fight on, I'm going to have a fight either way and I don't have to go to LA, I'm going to have to have a fight either way. "But it's not fair to you and it definitely isn't fair to Jon either. He didn't do anything wrong. We have every expert on earth saying he didn't do anything wrong so the fight should happen."